Landing your first dream home in B.C Canada can be such an exciting feeling. However, the strategic planning and knowledge required can be complex considering homeowner insurance, down payment, deposits, financing and unplanned expenses. What ordinarily should be an exciting experience can turn into a stress-filled one. Canadians are among the highest homeowners in the world. Imagine two out of every three Canadian families as landlords – that is an incredible statistic right there! And it can only get better. In that line of thought, it would suffice as a first home buyer to gain a foothold with the following tips. The first thing is to look at your budget and how to make the money available. 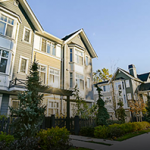 For most homebuyers in B.C, the financing is done through a mortgage loan. In time past, people used a bank to finance their first home. 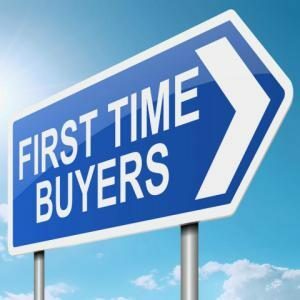 But times have changed and more than 47 per cent of Canadians use a mortgage broker for their first home buying experience. Using the banks for your first-time home purchase is a serious challenge, considering how to fit into the bank’s box. Because of the credit crisis that started in 2008, that option may not be the best for you. Canadians choose to obtain a mortgage using mortgage brokers because of multiple rates and lenders. As a result, these brokers have rates that are not usually advertised and are significantly lower than what the banks are willing to offer. With a high balance on your loan, your credit score is negatively affected. But you can bring all that down by paying your bills on time. If however, you miss a payment, it is recorded on your credit bureau where it stays for 6-7 years. Lenders will have a second look at it, and with their uncompromising position these days, that could spell trouble. Although you may not have to wait 6-7 years to become eligible if you had gone through a bad credit period. The less negative credit you have on your bureau, the better it is for you. If you can meet up the minimum required payments, then you’ll be in their good books. It is erroneous to think that no credit is a good evidence of your creditworthiness. But you’ll be shocked that lenders think otherwise. If you do not have credit at the moment that means you’ve no documentation that indicates you’re an acceptable credit risk. Even if you have a strong income, it will be difficult to get an approval. It is vital that you have on the minimum, three different facilities in your name. It can take a day to several years finding the home of your dream, so take your time and know when to act. It can be scary writing an offer, but it doesn’t have to if your realtor has in the offer a good “subject” (requirements to make the purchase). The subject should only be removed when you’re sure that you will make the purchase. Always considered your realtor’s advice when writing the offer price. In most cases, the first offer is usually discarded, so be ready to face a counter offer. There are situations where this could drag back and forth before both parties come to a final price. Make sure you have the subject to your financing included in your offer when it’s time to make a purchase; a pre-approval does not guarantee approval. There could be issues with the property or something unforeseen that the lender may deem unfit. Before you go ahead to pay for an inspection, make sure you’ve been approved or there’s a high chance of getting approved. It usually cost around $450 or a little more. With that being said, you’ll have to give enough time for the inspector to arrange an inspection date. So, discuss with your realtor to figure that out. In the case of insurance, there are two option. One is the No Question Asked mortgage insurance product, which offers life, critical illness and disability insurance for close to $50,000. The second option is speaking with your insurance adviser to help you reach a decision. At this point, I guess you already know what you’re offering your lawyer for the completion of the transaction, and there will be an instruction for a bank draft or certified cheque to cover the balance of the funds to close the deal, and your ID too. Note that it involves a lot of paperwork with your lawyer to see it through. 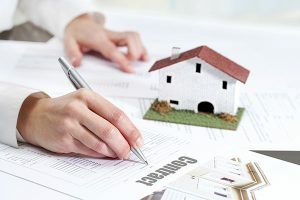 You may also be required to visit the branch if need be to go over the detail—like payment dates, closing etc.–though that depends on your lender. You’ll be handed the keys on the day of closing. Ensure that your realtor communicate when that will be, as the seller may still be moving things out on the day you’re supposed to possess the property. After the closing is done, change the locks. If you don’t want to jeopardize your security, then it is a must. Never forget to ask questions, the professionals who helped you secured the property are willing to offer assistance as much as they can, so contact them. 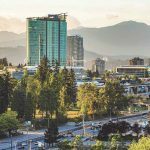 These tips will come handed in buying that first home you’ve always wanted in B.C. It may be stressful though, but it’s worth it when you get one.